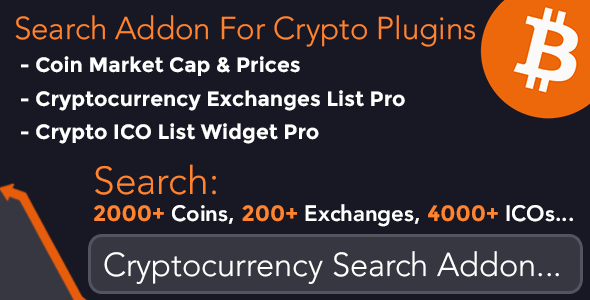 Cryptocurrency search addon provides ajax based combined search functionality for advanced crypto plugins launced by CoolPlugins.net. If you install this crypto search addon along with any of below 3 crypto plugins, you can add advanced search box anywhere inside your WordPress website via simple shortcode. You can use this crypto addon either with 1 or all three crypto plugins mentioned above. It will show an advanced combined ajax based search results of ICOs, exchanges and crypto coins based on your search keyword.